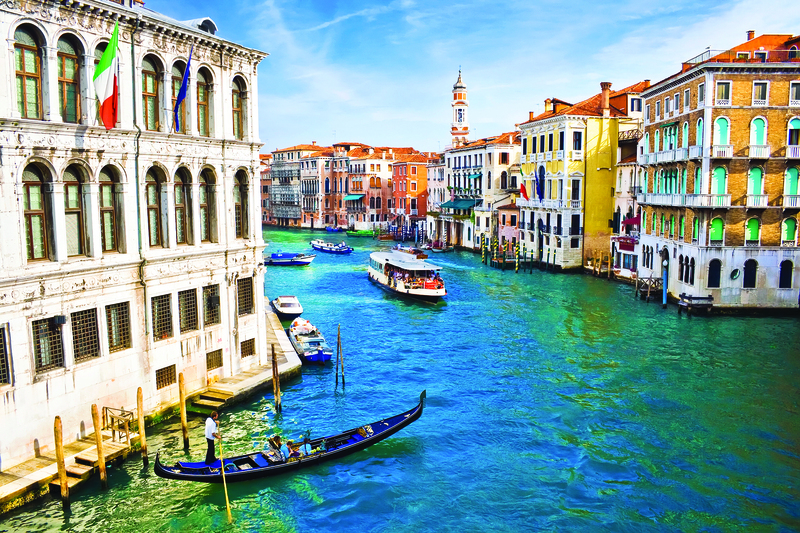 Sail the seas around Italy aboard the luxurious Riviera. Start in Civitavecchia and sail to Sorrento, with its delightful cobblestone streets and spirited southern Italian culture. Continue to vibrant Catania, full of upmarket bistros and boutiques, and Valletta, which brims with culture and old-world beauty. 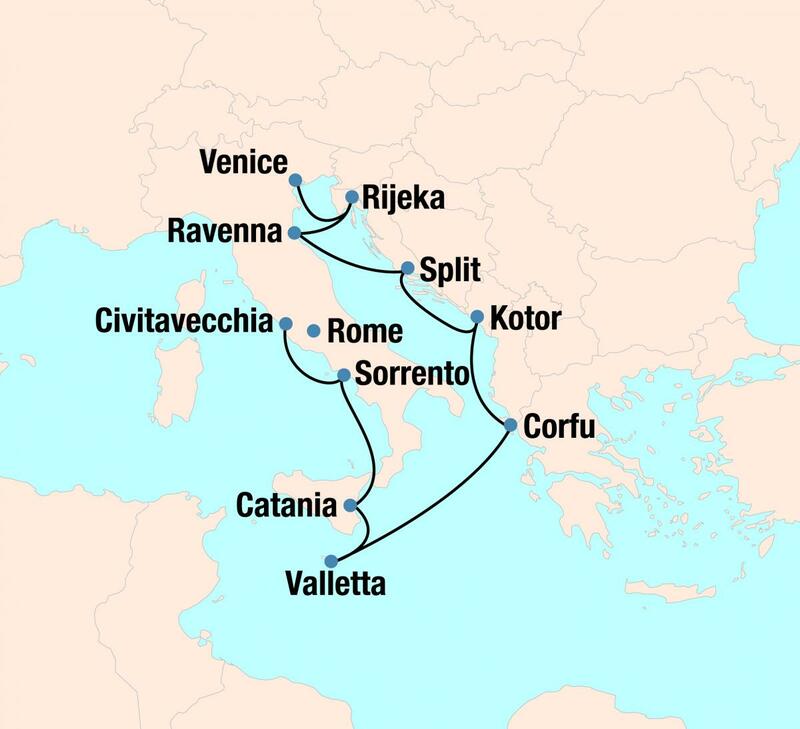 Take in lush Corfu before sailing to Kotor, to view its Venetian architecture; Split, to wander through Diocletian’s Palace; Ravenna, to see its UNESCO-listed mosaics and monuments; and Rijeka, to observe the Austro-Hungarian architecture. Finally, overnight in Venice — discovering it by water or strolling the narrow alleyways to find hidden piazzas and romantic trattorias.